Task: to present the history of money. 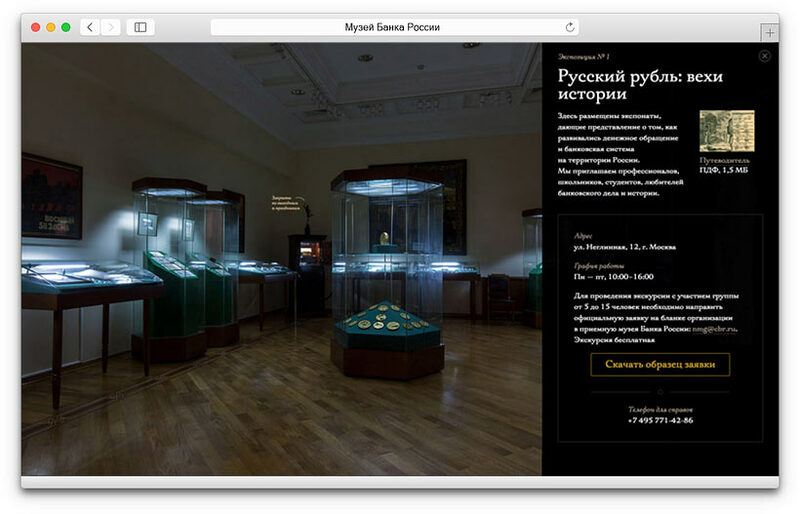 The Bank of Russia’s Museum and Exposition Fund was established in 2000. Today, its collections include more than 16,000 exhibits related to the circulation of money: precious ingots, coins, banknotes, credit notes, posters promoting government loans and other artwork. 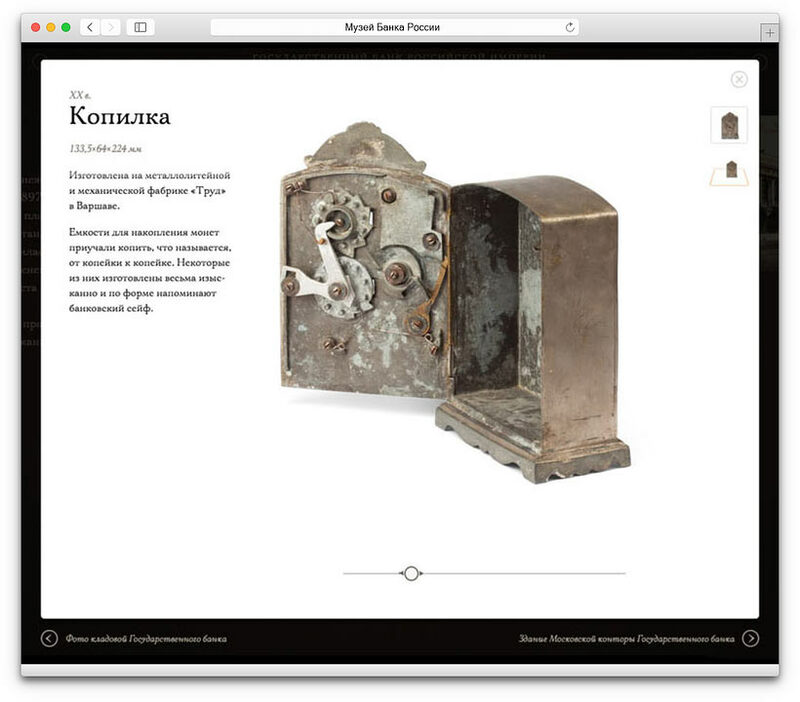 A fragment of the museum’s exposition Russian Ruble: Milestones in History designed as a separate website provides information on the development of banking in Russia. All exhibits are presented in high resolution, some are available as 3D models. To maintain the visitors’ interest, some of the photographs are accompanied by volumetric images that illustrate key historic events.